And the sights in-between are fine examples of everything America has to offer. The huge size of Texas means that it exhibits every possible type of landscape, from the sandy beaches of the Gulf Coast to the hot and cold peaks of the desert west, 'Big Bend Country'. No matter where you are visiting from, there will be a climate, landscape and lifestyle to suit you. In addition to this, the ethnic traditions of the many groups of settlers who have colonised Texas over the last two hundred years bring a rich diversity of culture that is hard to find anywhere else. The close proximity to Mexico brings an influx of both Mexicans and Spanish, as well as Native Americans and many other Europeans, now settled into America to produce their own unique State atmosphere. There is even evidence of Native Americans hunting bison on the Panhandle Plains in prehistoric times! The diversity of Texas can be felt everywhere. Country music and rodeo riding, surfing or basketball, the historical significance of the Kennedy Memorial in Dallas, memories of the Wild West at the Alamo and Fort Worth, and the star-searching future of the Lyndon B Johnson Space Center in Houston - Texas can guarantee something to interest all comers. Outdoor activities are prominent all year round, such as rock-climbing, fishing, canoeing, or camping, with many national parks to visit, to view the undisturbed beauty of this beautiful State. Art lovers can visit the cultural centres of Texas' larger cities, with ballet and symphony, art museums and stand-up comedy. Sports fans will enjoy lineups that include the Houston Rockets, Texas Rangers and Superbowl champions, the Dallas Cowboys. Whether you are visiting Texas for a vacation, or coming to live or study, there are urban centres or small country towns, giving a wide variety of social locations to choose from. The rugged cowboy-land of the Panhandle Plains, holding Lubbock, the birthplace of rock legend Buddy Holly; working ranches on the South Texas Plains, next door to Mexican-influenced cities of Laredo and Nuevo Laredo - historical battle sites marking Texas' independence nestle alongside modern cities, metropolitan shops and neon nightclubs. Austin is known as the 'live music capital of the world', with entertainment seven days a week, and public festivals, such as the Oktoberfest and Aquafest. Rio Grande is itself a border between Texas and Mexico, whilst Fort Davis was a frontier fort, providing protection from angry Indians. Internationally renowned for shipping, banking and commerce, the skyline of Texas' capital, Dallas, rises tall above the prairie, signifying everything that this magnificent State stands for - urban and country, summer and winter, past, present and future, American and international. The diversity of cultures, landscapes and people means that you are sure to feel at home in Texas, giving you a taste of the United States from within its boundaries. 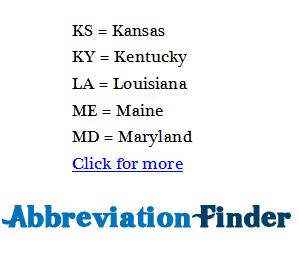 TX stands for Texas; for other definitions, please refer to abbreviationfinder.org.